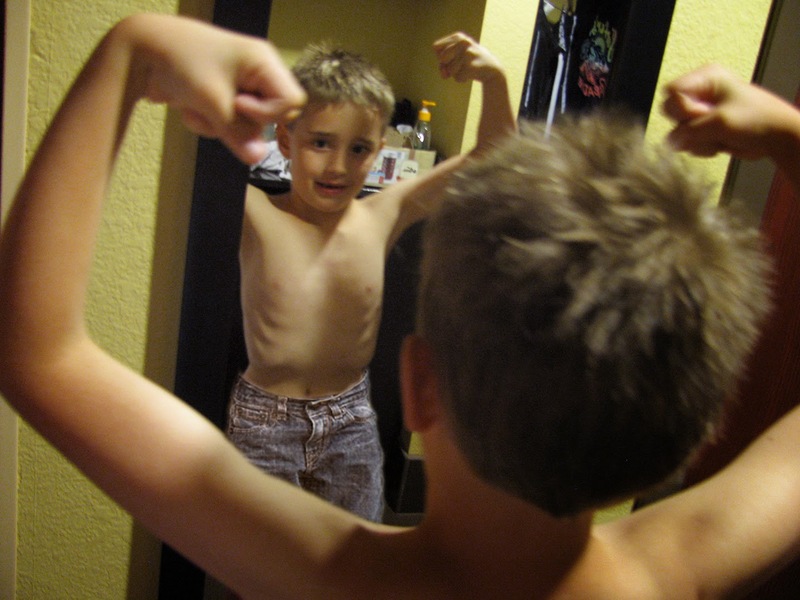 We caught Isaak checking out his muscles in a hotel room. He didn't have any pants on, but even though the photo didn't show anything, I added pants on him. LOL, I could never figure out why men... and boys think they have to look at their muscles in the mirror.